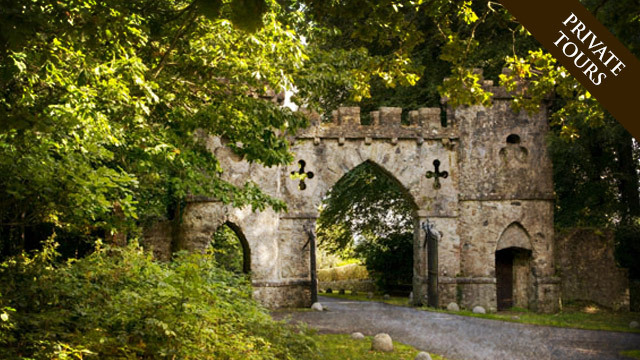 Winterfell Castle & Demesne, located just 40 minutes from Belfast, was used extensively for the filming of George RR Martin's epic adaption of Game of Thrones® novels. 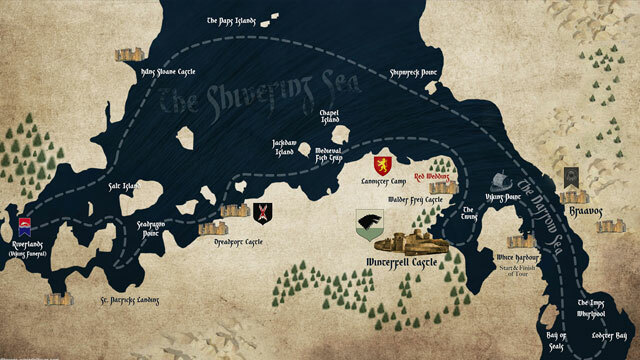 When you first arrive onto the ancient demesne you soon realise why the HBO® location scouts chose the time-warp 'Old Castle Ward'; the sprawling medieval walls and imposing castle tower gate, the beautiful surrounding landscapes and far-reaching views across the lough; it was the perfect place to create the Game of Thrones Castle 'Winterfell' - the home of the Stark family. 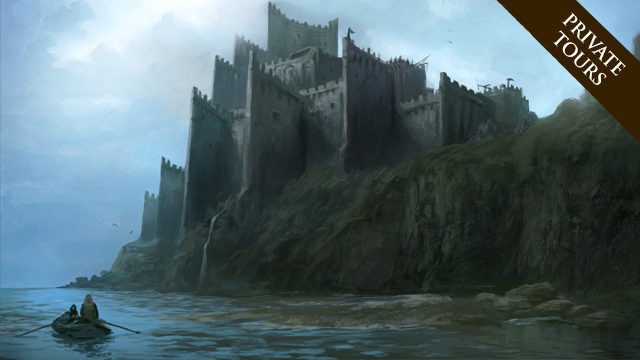 One thing though...as you approach Winterfell Castle for your Game of Thrones tour...beware of White Walkers in the woods! 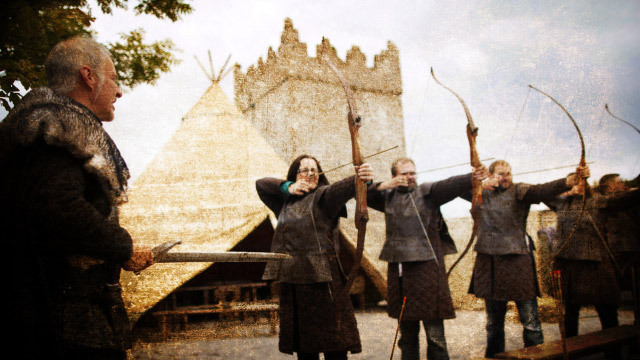 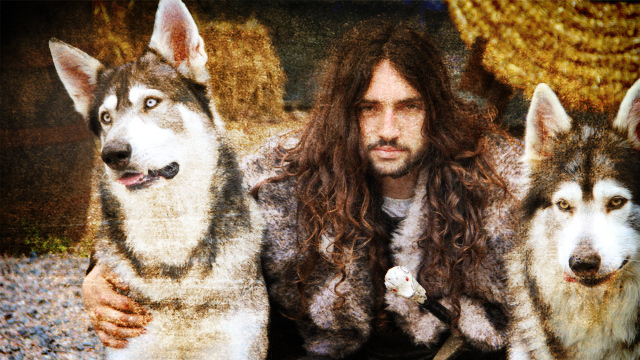 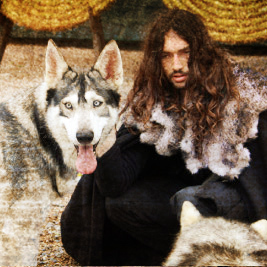 Stand on set in the exact same spot Jon Snow & Robb Stark taught young Bran the art of archery in the Game of Thrones Castle 'Winterfell' - Meet Winterfell Castles Master-at-Arms, dress up in character costume & enjoy the thrill of firing live arrows at White Walkers! 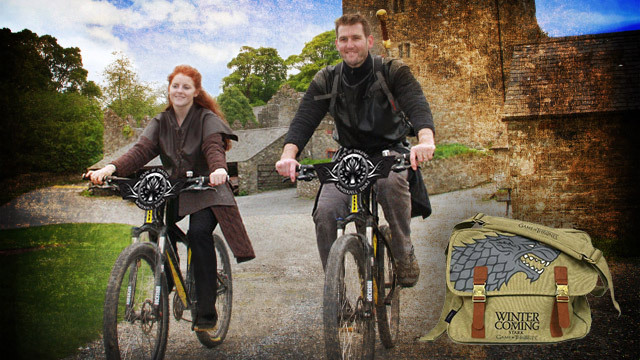 Jump aboard a 'Westeros Cruiser' bicycle issued to you by Winterfell Castles Master-at-Arms, then go explore the 20 key Game of Thrones tour filming locations across the sprawling demesne including Brienne's Tree Branch, Robb's Camp & Walder Freys 'Twins' Castle. 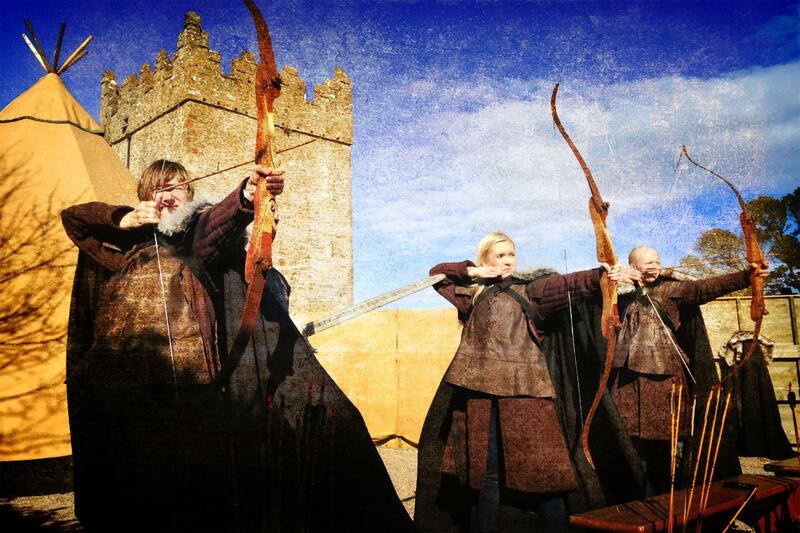 A 'must do' boat tour on Strangford Lough - your guide entwines local history & mythology with Game of Thrones locations making this just as interesting for even non GOT fans - discover why there are so many fortified castles in area, how the Vikings pillaged these shores plus much more. 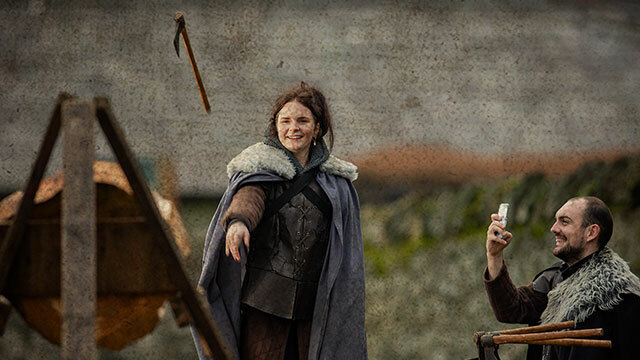 New for 2019 & Season 8 Finale - Step into the Winterfell Axe Throwing Range in full character costume holding your chosen axes made of the finest Valyrian steel. 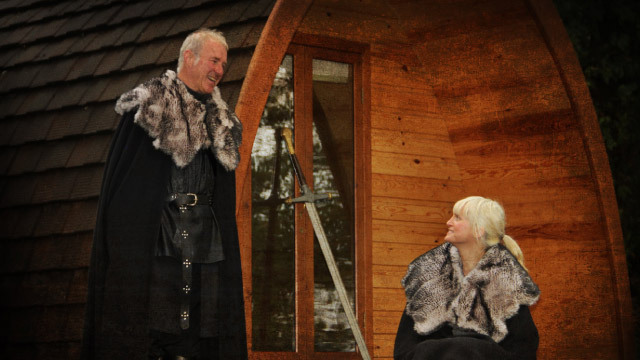 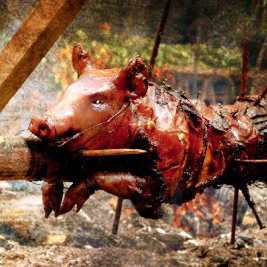 The Winterfell Master-at-Arms will have you slinging single headed and double headed axes like a true Shagga warrior in no time as you enjoy this private Game of Throws. 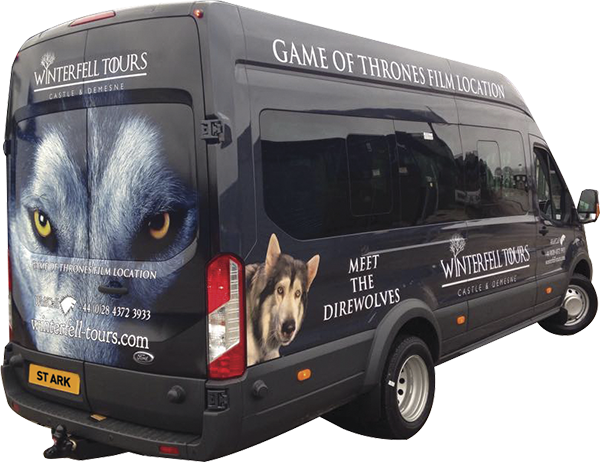 Private and exclusive Game of Thrones tour of key filming locations (Including Season 7) at Winterfell Castle & Demesne, the Mountains of Mourne and other close by locations. 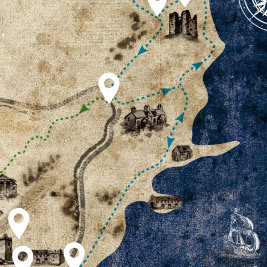 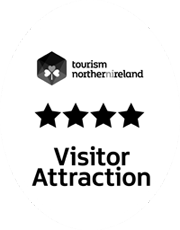 Private and exclusive Game of Thrones tour of key filming locations (Including Season 7) at Dragonstone, Ballintoy Harbour, Giants Causeway, Dark Hedges and other close by locations.